Linda looks after the office functions for Lowdown Hotrods. She has lots of experience within the industry. Linda's experience comes from, not only being involved in the build-up of the two hot rods with Tom, but from time spent at Horton Street Rods. This was invaluable. As front office and sales representative for 3 years, Linda gained knowledge of parts, customer service and the behind-the-scenes work required to operate a business. 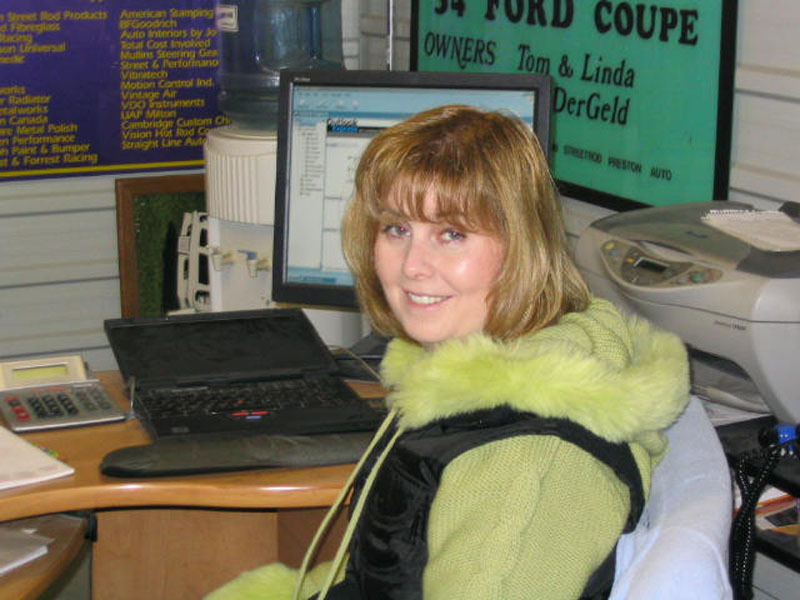 Linda's outlook and support are essential to the success of Lowdown Hot Rods.